There's no Place Like Home, in the name of Jerla gave me an award that will be treasured the most. And so, I am passing this to; Toni's Attachment, Tey's_Ester Raptured Dreams, Texas Sweet_My Virtual Diary, sHeiLaLu, and Sheila-A Nurse's Tale. 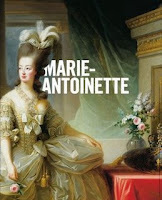 The story of Queen Marie Antoinette is very impressive life of courage and is the epitome of real, fun, fearless woman who never been afraid of getting what she wants. She became Queen of France and Navarre. wow! you deserve this award Nova! just like marie antonette... maganda ka ha! pang award ang beauty!